Fibre discs suitable for heavy duty applications on ferrous metals, forged metals and hard metals. Micro crystal structure of ceramic discs DG65 allows working at high working pressure. 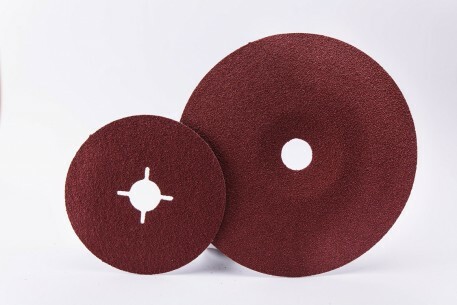 Fiber discs have a wide range of applications, suitable on ferrous and non ferrous-metals, wood and leather.The vulcanized fibre with thinckness 0.8 mm, which is the base of fiber discs, is made by a multilayer cellulose.